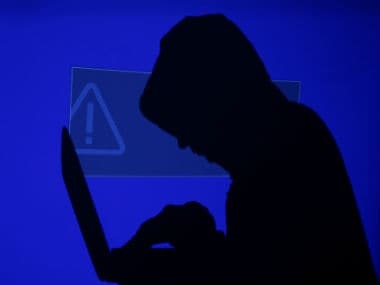 New Delhi: In view of the growing incidents of financial cybercrimes, including frauds using cards and e-wallets, Home Minister Rajnath Singh has ordered strengthening of the surveillance and legal frameworks to check the menace, the home ministry said on Tuesday. The issue came up at a high-level meeting where the strategies being adopted to check financial cybercrimes were discussed in detail. Representatives from various agencies made presentations and appraised the home minister of the current trends of financial cybercrimes in the country and the steps being taken by their agencies to address this challenge, a home ministry spokesperson said. It was noted that both legal and technological steps need to be taken to address this situation. The home minister directed all concerned agencies to undertake required measures in a time bound manner and emphasised on the coordination of all concerned agencies in this regard, the spokesperson said. It has been decided to expedite the implementation of cybercrime prevention initiatives in these agencies towards this end along with measures required to acquire critical cyber forensics equipment. It was also decided that an inter-ministerial committee may be set up to identify action points and monitor the implementation. Capacity building of various stakeholders such as police officers, judicial officers, forensic scientists as well as officials in the banking sector has been identified as a key measure. As many as 1,44,496 cyber security attacks were observed in the country in last three years. As per the data maintained by National Crime Record Bureau (NCRB), a total of 5,693, 9,622 and 11,592 cyber crime cases were registered during the years 2013, 2014 and 2015, respectively, showing a rise of 69 per cent during 2013 to 2014 and 20 per cent increase during 2014 to 2015. Tuesday's meeting was also attended by Union home secretary Rajib Gauba, secretary, department of financial services Rajiv Kumar, secretary in the ministry of electronics and information technology Ajay Prakash Sawhney, director of Intelligence Bureau Rajiv Jain, Delhi Police Commissioner Amulya Patnaik among others.